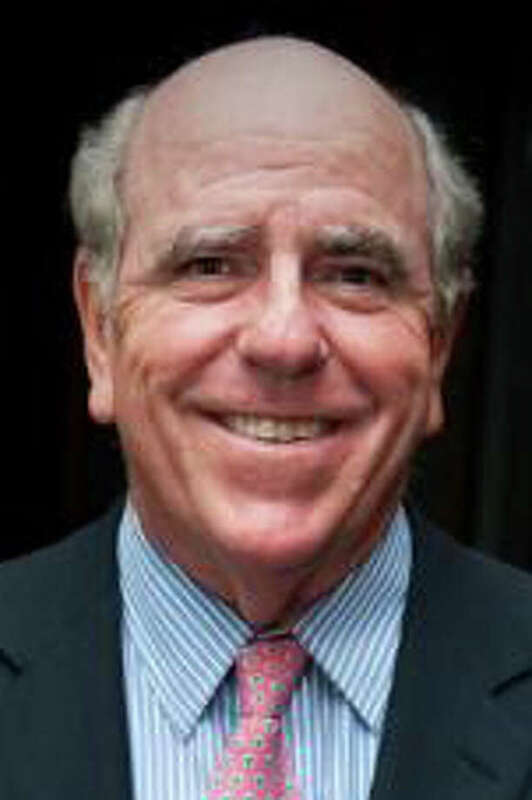 Fairfield University alumnus William P. Egan, Class of 1967, will be presented with the Alumni Professional Achievement Award at the school's annual awards dinner in April. Two Fairfield University alumni and an administrator will be honored at the school's annual awards dinner set for April 6 at the Grand Hyatt Hotel in New York City. Money raised by the event go to the school's Multicultural Scholarship Fund. This year's honorees are: William P. Egan, Class of 1967, recipient of the Alumni Professional Achievement Award; John C. Meditz, Class of 1970, the Alumni Service Award, and Jeanne M. Novotny, the Distinguished Faculty Award. Co-chairmen of the dinner are Fairfield alumni Robert Ollwerther, Class of 1978, chief operating officer at Avenue Capital Group, and Gavin O'Connor, Class of 1988, managing director of the CAO Investment Management Division at Goldman Sachs. In 2010, the awards dinner raised nearly $1.4 million, and the university distributed more than $367,000 in much needed scholarships. Since the first fundraising dinner in 1988, more than $11 million has been raised for the endowed scholarship, and over 155 students have received assistance through the fund, according to university officials. Ed Cooley, Fairfield University's men's basketball coach and the 2011 Metro Atlantic Athletic Conference Coach of Year, will be the keynote speaker. Egan, the Professional Achievement honoree, is now a Boston resident. He received his bachelor's degree in economics from Fairfield University and a master's degree in business from the Wharton School. He is currently founder and general partner of Alta Communications and Marion Equity Partners LLC. In 2000, Egan, with his with Jackie, endowed three scholarships at Fairfield and named them in honor of Fairfield faculty in the fields of English, economics and modern languages. Over the past decade, more than 100 Fairfield students have received the scholarships. Egan also contributed to construction of the university's Egan Chapel of St. Ignatius Loyola, named after his parents, John and Marion Egan. "Egan Chapel is the spiritual heart of the campus," said Fairfield U. President Jeffrey von Arx, S.J., in a statement. "We are pleased to honor Bill for his distinguished career, but even more so for his devotion to Fairfield. He has been there whenever his alma mater has called on him." For 18 years, Egan was a member of Fairfield University's Board of Trustees. Meditz, the Alumni Service recipient, lives in Weehawken, N.J. He is the co-founder and vice chairman of Horizon Asset Management, Inc. He earned a bachelor's degree in economics from Fairfield University in 1970 and later received a master's degree in finance from Rutgers University. A gift from Meditz helped the new Bellarmine Museum of Art at the university become a reality. Its main gallery bears the names of Meditz's late mother and father. Meditz has also been the chairman of the Weehawken Planning Board, treasurer of the Weehawken Library and is the chairman of the Palisades Medical Center Board of Governors. Novotny, the Distinguished Faculty Award winner, is a Bridgeport resident and received undergraduate and graduate degrees in nursing from Ohio State University and a doctorate from Kent State University. In 2001, she was appointed dean of Fairfield's School of Nursing. Over the last decade, the school's enrollment has quadrupled with nearly 700 students. "Jeanne has led the school through 10 years of unparalleled success and growth," said Rev. Paul Fitzgerald, S.J., senior vice president for academic affairs, in a statement. "She not only understands and innovates according to the best, evidence-based, emerging practices in the field, but she also believes with all her soul that education of the whole person involves touching their hearts and engaging their spirit," he said. Tickets to Fairfield University's Awards Dinner can be purchased at www.fairfield.edu/awardsdinner. For more information, contact Cindy Russo, Office of Corporate Relations, at 203-254-4000, ext. 2927.